I’m not about to list two thousand and eleven separate BIM resolutions. But I will share with you 11 really important questions that you ought to ask yourself as you enter the year ahead. What will you accomplish in the next year? Will this be another year of the same ole, same ole? Or will you attempt to accomplish something great? Will you make it your goal to take BIM to the next level in 2011? If you are stuck in third gear of 3D BIM, do what is necessary to re-familiarize yourself with BIM scheduling. Move your game up a gear to 4D or 5D BIM. Who will you teach BIM to this year? How well do you understand BIM? Really understand it? They say that the best way to learn something is to teach it. Do you understand BIM well-enough to teach it to someone else? To someone who is eager to learn? To an individual or a whole class? What will you do in the next year to promote and help spread the word of BIM? Will you participate on online conversations or add your comments to LinkedIn discussions? Will you write an article for an online or print journal? Will you guest-post on a BIM blog? Or better yet, if you haven’t already done so, start one of your own? Will you be willing to give a presentation on the topic to your own firm? Already on board? Are you willing to take the show on the road and present on the topic at Autodesk University (AU) in 2011? AU call for proposals to be announced in March 2011. Look here for updates. Here’s what I’ll commit to in 2011. On April 27-28 I will be giving a talk about what went into the making of my new book, BIM + Integrated Design: Strategies for Practice – at KA Connect 2011 – a knowledge and information management conference for the AEC industry where thought leaders from all over the world come together to share best practices, stories and ideas about how they organize information and manage knowledge in their firms. KA Connect 2011 will be held at the Fort Mason Center in San Francisco, CA. And this should be just the first of several talks I give in 2011 on the subject of BIM. Will you determine to work on improving your BIM weak spots or on substantially reinforcing your already considerable strengths? Most people resolve to improve their weaknesses, while experts advise that it is a far better use of your time, energy and resources to make your strong suits even stronger. Which will you commit to? Will you make it your goal to always bring your BIM A-game to work? What does it mean to bring you’re A-game each and every day? To bring your A-game means that you need to bring your best attitude and best abilities to each an d every situation. Are you willing to give this a consistent go at it? Will you embrace change in 2011? Are you committed to exposing yourself to the latest technical and business information concerning BIM? And how it is used by both professionals and, through case studies, owners? A new, updated edition of The_BIM_Handbook comes out on April 19: will you make it your goal to get your hands on a copy? And once you do, to read it? Available for pre-order here. Will this be the year you give away what you know? Are you hording information that would do others a world of good to be aware of and to know – if only you were willing to share what you know? You may not even recognize or appreciate that you have an unusual grasp of a certain topic or skill set. Transparency is the name of the game. Don’t go down with your knowledge intact. Spread the word, share what you know, and see how by doing so it all comes back to you – many times over. Here’s how I’m giving away what I know in 2011. Later this year – sometime in summer – John Wiley & Sons will publish my book, BIM + Integrated Design: Strategies for Practice, exploring the collaborative work process enabled by the new technology and resulting social impacts on individuals, organizations, the profession and industry. I pull out all the stops on this one, not holding anything back. And that goes for the many people I interviewed for the book, too. We’re giving it away – for a nominal price – so that others may benefit. Will you define BIM for yourself once and for all? The other day I overheard a colleague explain to a client that “BIM is essentially AutoCAD on steroids.” It took a lot of self-control on my part to restrain myself from jumping in and fleshing-out his definition for the benefit of all involved. What would you do in this situation? How would you respond if asked to define BIM off the cuff? 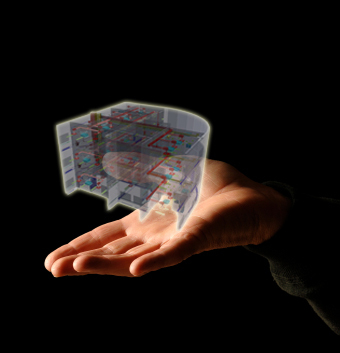 What will BIM mean to you? Whatever BIM means to you now, will you commit to a clear definition for yourself in 2011? One that you are willing and able to convincingly communicate to others, and defend if necessary? Is BIM just a tool – a vehicle for getting you to meet deadlines and achieve your goals? Is BIM a process, impacting workflows, performing best when used collaboratively with others? · What makes you interested in working in BIM? How has that changed from year to year? · Why does it matter to you? What personal values of yours does working in BIM fulfill? · What’s your long-term vision for how things will change as you – and others – continue to work in BIM? · What is the first thing you are going to do to work toward your goals? · What small daily changes are you going to make (think kaizen)? Great post! I´ve already started a blog on BIM, but not reached many peole yet. Don´t know if it´s because BIM is not a matter of interest here in Brasil or i can´t communicate it well enough. Or undestandi it well enough, who knows? Anyway, i’ll keep on trying, and thinking of the questions you made here. Thank you Gustavo for visiting – and for being the first subscriber to this site in 2011! I visited your site and it looks like a great one. You are providing valuable information (the Google translator tool from Portuguese helps!) and you shouldn’t be discouraged by what appears to be a lack of visitors to the site. There are so many ways for interested viewers and readers to find you today. You’re doing everything right – as you wrote, keep at it. Thank you for your words Randy and best to you too!! !